More Oni Press, more anthropomorphic strangeness. 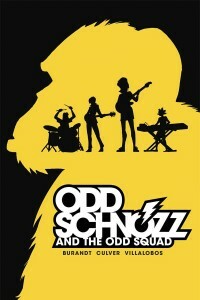 “Liz, Bodey, Maude, and Justine’s band, Odd Schnozz and the Odd Squad, are sure to win this year’s Battle of the Bands. But when a talking chimp, who claims to be a scientist from the mysterious organization B.L.A.N.K., interrupts their practice session, the band’s got a whole new set of problems. Now B.L.A.N.K. agents are closing in, determined to recapture the escaped chimp before he becomes a liability. 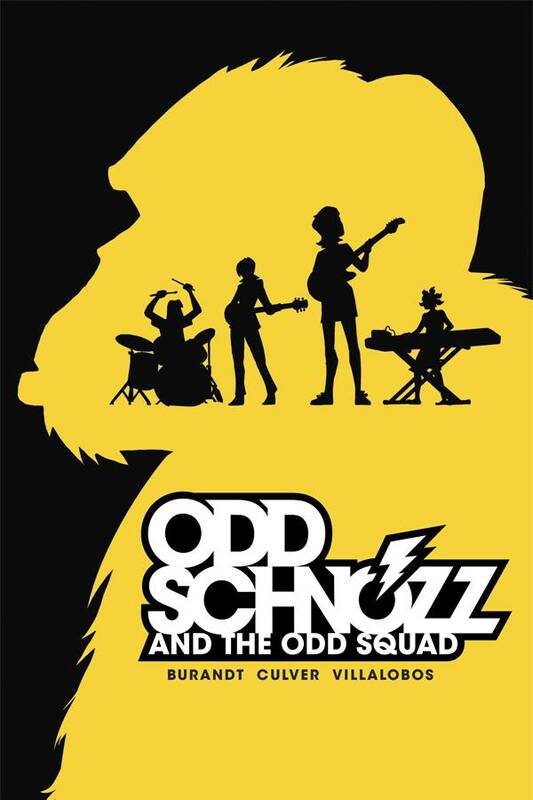 Jeffrey Burandt (Americans UK), Dennis Culver (Edison Rex), and Ramon Villalobos (Young Avengers) bring you this thrilling tale of cyborg animals and punk rock teenagers.” After being serialized as an on-line comic, the Odd Schnozz and the Odd Squad graphic novel is coming this June as a full color trade paperback. Find out more at Oni’s official page on-line.